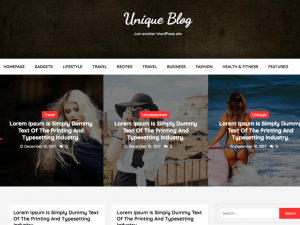 Unique Blog is modern, clean, colorful and responsive blog theme. It can be used for adult blogs, tube sites, informative, news and other creative websites. It uses an amazing WordPress Customizer for theme options.